The collaboration between Valve and Payday: The Heist makers Overkill that was announced last month could turn out to be a Left 4 Dead prequel, or so goes the latest rumor from E3, at least. "We are excited to be able to confirm that an in-depth collaboration between OVERKILL and Valve is currently in production," said Overkill director Ulf Andersson in May. 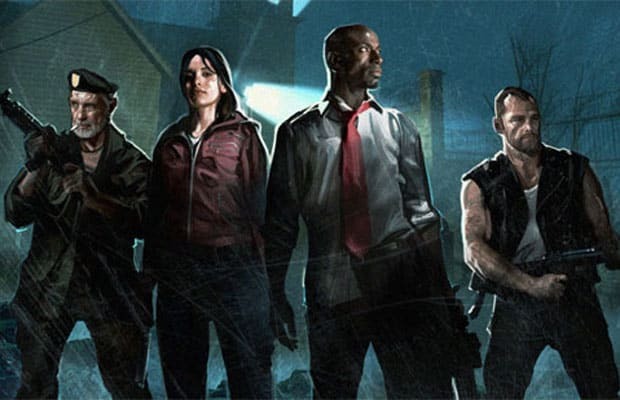 At the time he didn&apos;t reveal any details, but several sources are reporting that the project will in fact be set in the Left 4 Dead universe and take place before the events of the current games in the cooperative zombie apocalypse series. "We are working on a very cool blend of Payday and Left 4 Dead," Andersson said upon the initial announcement. "I am sure it is so exciting that it will have some players check into the hospital before we are done." We&apos;ll be slightly disappointed if it&apos;s not Zombies & Robbers (like we originally predicted), but we&apos;re not ones to complain about more Left 4 Dead. Will you? Or would you rather Overkill concentrated on the Payday sequel? Tell us in the comments or on Twitter.